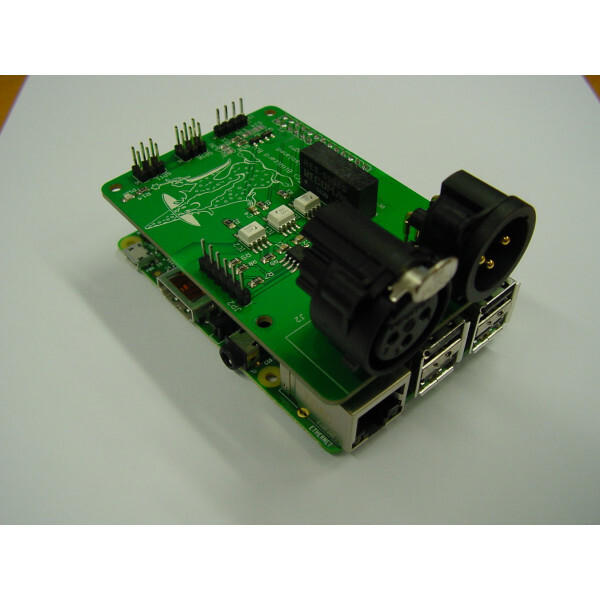 In contrast with the DMX interface "with FT245", this board does not have the FT245RL chip on board. 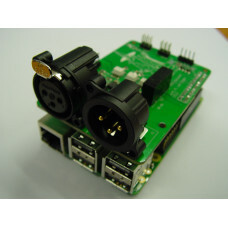 This normally allows you to use this with the OLA software on the raspberry pi to work with DMX hardware. However the OLA software has not (yet) implemented the RX (receiving) part of the DMX protocol for this hardware. 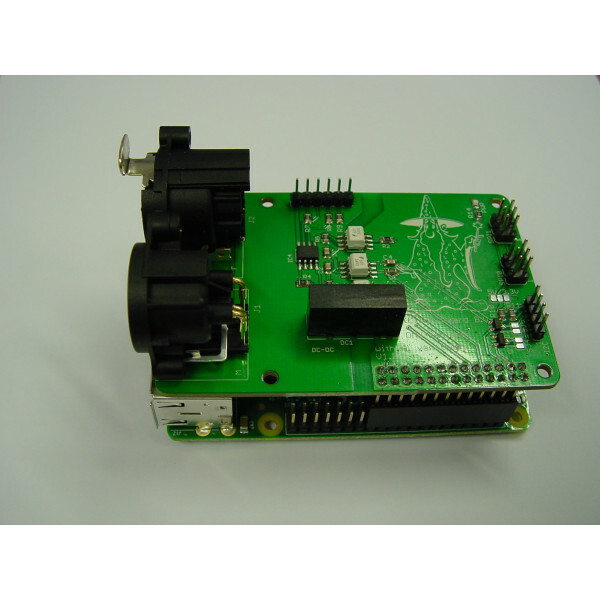 The board "with FT245" proves that this board together with the 'pi are physically capable of recieving DMX messages, it is just that the software is not yet written.